Wherever Storm Boy went, Mr Percival followed. 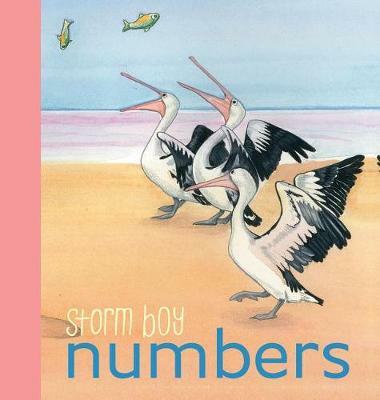 If Storm Boy went fishing or rowing on the Coorong, Mr Percival cruised joyously round him with his neck bent back and his chest thrust forward like a dragon ship sailing calmly in a sea of air. The Storm Boy story will now be introd... read full description below. Wherever Storm Boy went, Mr Percival followed. If Storm Boy went fishing or rowing on the Coorong, Mr Percival cruised joyously round him with his neck bent back and his chest thrust forward like a dragon ship sailing calmly in a sea of air. The Storm Boy story will now be introduced to a whole new generation. Colin Thiele A.C. (RIP 1920-2006) He has enjoyed a long and varied life that has encompassed much more than the writing for which he is renowned. - Storm Boy His varied life experiences would fuel a writing career that has spanned more than fifty years. But it is his children's books and his deep sense of environmentalism for which he is best known.